Jean Racine. Racine, Jean, photograph. The Library of Congress. 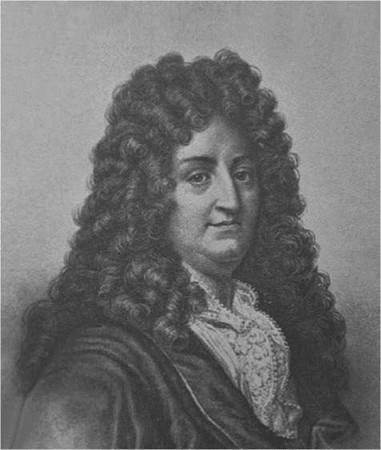 Jean Racine has long been held as one of the foremost dramatic writers in the whole of French literature, though his fame rests essentially on ten plays. Most of his plays are still regularly performed, some of them even in translation, in spite of their being exceptionally difficult to translate because of his unique style of poetry. Racine usually borrowed his dramatic subjects from mythology and constructed his plays using a high-style neoclassical tragic form. Orphaned but Well Educated. Baptized on December 22, 1639, Racine was presumably born a few days before this date in the small town of La Ferte-Milon in the province of Champagne, some fifty miles northeast of Paris, to a lower-middle-class family. His father, also named Jean, occupied a modest and poorly paid position in the taxcollecting bureaucracy. In January 1641, Racine’s mother, Jeanne Sconin Racine, died while giving birth to her second child, Marie. In February 1643, the children’s father, who had remarried three months earlier, also died, leaving Racine and his sister destitute. Their paternal grandparents took charge of the boy, the maternal grandparents of the girl. In October 1649, the young Racine was enrolled as a nonpaying student at the ‘‘Petites Ecoles’’ (Little Schools) in Cheureuse. The school provided him with a superior education, which, contrary to the then prevailing fashion, was conducted not in Latin but in French and emphasized a close study of the vernacular. It included a sustained study of Latin and Greek—in which Racine soon became remarkably fluent—as well as the modern languages of Spanish and Italian. After his four years at Port-Royal, Racine entered the College de Beauvais in Paris, an institution sympathetic to the abbey, where he studied for two years, returning to Port-Royal in the fall of 1655. He spent three more years as a student there before entering the College d’Harcourt in Paris, where he studied for a final year (1658-1659), completing an education of virtually unparalleled scope and quality, one far superior to what a destitute and provincial orphan could have hoped for. Success and Rivalry. Several years later, having entered into friendships with writers Mohere, Jean de La Fontaine, and Nicolas Boileau, he began writing for the Parisian stage, with the neoclassical theorist Boileau being an especially strong influence upon him. In 1664 Racine’s The Thebans was produced by Mohere, who also launched the young dramatist’s second play, Alexander the Great, the next year; these works brought their author much acclaim. When Alexander opened, Racine made the first of several key decisions that brought him strained relations with friends—if not influential enemies—throughout his career. Immediately dissatisfied by Mohere’s production of Alexander at the Palais-Royal, he mounted a rival production at the Hotel de Bourgogne, deeply offending Mohere and ending their friendship. At about the same time, due to a misunderstanding, Racine publicly broke with the Jansenist Catholics of Port-Royal (a particular branch of Catholics whose beliefs centered on original sin and human depravity) by publishing an open letter—which he later regretted—filled with ill-spirited caricatures of and anecdotes about key Jansenist figures. Having split with the Jansenists and now considered a rising rival of Pierre Corneille, Racine embraced the worldliness of the Parisian dramatic world, took actresses for mistresses, and actively competed in dramatic popularity with the older writer. In the drama Britannicus he not only ventured into political drama, at the time considered Corneille’s exclusive domain, but he also attacked Corneille himself (though not by name) in his introduction, having come to believe that a plot led by Corneille had sought to undermine his drama’s success. He also answered Corneille’s El Cid with his own Andromache (1667) and pitted his superior Berenice (1670) against Corneille’s Tite et Berenice, which appeared almost simultaneously. Racine’s most distinguished plays appeared during the next few years, and in 1674, he was elected to the Academie Francaise, becoming its youngest member. But by the mid 1670s, the ill will he had engendered among his peers and their admirers affected his own career. One of his more powerful enemies, the Duchesse de Bouillon—a niece of Cardinal Mazarin and sister of the Duc de Nevers—learned of Racine’s Phaedra during its composition and persuaded a minor dramatist, Jacques Pradon, to write a rival version of the play, which opened two days after Racine’s production. Further, it is said that she reserved many of the main seats for the earliest performances of Racine’s play, leaving these seats empty on the crucial opening nights. Although Phaedra was eventually seen as superior to Pradon’s tragedy, Racine was badly shaken by this episode and its aftermath, which included having his personal safety threatened by the Duc de Nevers. Retirement and Revival. At the height of his career, Racine retired from the professional theater; he married, became the devoted father of seven children, and accepted the post of Royal Historiographer, a position he shared with Boileau. For two decades Racine enjoyed access to the most influential political and literary circles; he and Boileau also traveled with Louis XIV on military campaigns, recording the Sun King’s exploits. In 1689, at the request of Louis XIV’s wife, Madame de Maintenon, Racine produced a new play, Esther, based on the biblical story, which was performed at a religious school in Saint-Cyr. Praised by the king himself, this play was so well received that Racine wrote another biblical drama, Athaliah, which was performed at Saint-Cyr two years later. During his remaining years, he wrote four spiritual hymns and a history of Port-Royal. Racine died in 1699 after a long illness. Pierre Corneille (1606-1684): Corneille was a French playwright considered one of the greatest French dramatists of the seventeenth century. John Milton (1608-1674): Milton was an English poet and civil servant best known for his epic poem Paradise Lost (1667). Moliere (1622-1673): Moliere, born Jean-Baptiste Poquelin, was a French playwright considered one of the masters of the comedic play. Blaise Pascal (1623-1662): Pascal was a French mathematician, physicist, and philosopher who contributed to the development of modern economics and social science. John Locke (1632-1704): Locke was an English philosopher and one of the most influential Enlightenment thinkers. He also made signifiant contributions to American Revolutionary thought. Louis XIV (1638-1715): Louis became the King of France at age four and ruled until his death over seventy years later. He is also known as Louis the Great and The Sun King. Isaac Newton (1642-1726): Newton was an English scientist and mathematician who laid the groundwork for classical mechanics, the view that dominated the scientific view of the physical universe for the next three centuries. Oedipus Rex (429 B.C.E. ), a play by Sophocles. This play, considered one of the greatest examples of ancient Greek drama, tells the story of one man's prophecied fall as he kills his father and marries his mother. Othello, The Moor of Venice (1603), a play by William Shakespeare. This play deals with racism, love, jealousy, and betrayal in a setting of political intrigue. The Cid (1637), a play by Pierre Corneille. This play tells the story of a man facing the eternal human struggle to balance personal sentiment with duty to family and society. Racine’s death marked the virtual demise of the literary genre he had so ably illustrated. In the century that followed, many tragedies were written in emulation of Racine’s, but none succeeded in matching his, and almost none have survived, in spite of the talent of some of their authors, Voltaire in particular. Not until the early nineteenth century did critics finally realize that, with Racine, French tragedy had reached both its zenith and the beginning of its decline. Several scholars note that within Racine’s work, the world of Jansenist Port-Royal and the neoclassical world were in constant warfare. But, these worlds were arguably complementary, in both style and in form. The influence of Jansenist teaching, which stressed human depravity and predestined salvation, is evident in Racine’s dramatic characters, who—like their forerunners in classical Greek drama—are undone by their passions and driven to ruin by ungovernable impulses. The simple neoclassical tragic form was well fitted to Racine’s themes and poetic style, which has been praised for its simplicity, harmony, and rhythmic flow; of all his contemporaries, Racine was the first to achieve success within a framework which had been deemed too difficult to master since its inception during the Italian Renaissance. His style has been described as simple yet polished, smooth yet natural. Robert Lowell has praised Racine’s dramatic verse for its ‘‘diamond edge’’ and ‘‘hard, electric rage,’’ calling Racine ‘‘perhaps the greatest poet in the French language.’’ In most of his plays, Racine employed a basic plot structure in which a monarch demands something of a particular underling, often a prince or princess, who denies this demand. The monarch then attempts to force his subject’s obedience, with tragic results. Launched upon a course of impending doom, Racine’s characters know what must be done to avert disaster but are unable to subdue their desires to take prudent action. During their author’s lifetime, Racine’s dramas, though popular, were attacked for what some critics considered their crude realism and their focus upon passion. Jean de La Bruyere wrote of Corneille and Racine that ‘‘the former paints men as they should be, the latter paints men as they are.’’ Like La Bruyee, many critics compare the intentions and accomplishments of Racine with those of Corneille, often to Racine’s advantage. ‘‘Unlike Corneille,’’ wrote Irving Babbitt, ‘‘Racine moved with perfect ease among all the rules that the neo-classic disciplinarians had imposed upon the stage. Indeed, it is in Racine, if anywhere, that all this regulating of the drama must find its justification,’’ here speaking of the unities of time, space, and action prescribed by neoclassical theorists. 1. Racine displays an interest in strong, troubled female characters. In a five-page essay, explain how his depictions are relevant for understanding the women of today. What has changed in society since Racine’s time to make these characters lose their relevance, and what has remained the same to give these characters continued relevance? 2. Racine made use of themes borrowing from ancient Greek drama and popularized during his time. With a group of your classmates, brainstorm Racine’s common themes, then discuss whether or not these themes are still relevant today. Would a revival of literary work based on these themes produce works that a present- day audience would appreciate and admire? 3. Many of Racine’s characters face inner, spiritual conflicts among competing values and impulses. Using one of Racine’s texts as inspiration, write a short story with a main character who faces a similar conflict. 4. Racine’s plays were based on a plot structure centered around the demands of a monarch. Sketch a plot outline to rewrite and update one of his plays, placing the action in the context of a modern, democratic government. Abraham, Claude K. Jean Racine. Boston: Twayne, 1977. Barthes, Roland. Sur Racine. Paris: Seuil, 1963. Brereton, Geoffrey. Jean Racine: A Critical Biography. London: Cassell, 1951. Butler, Philip. Racine: A Study. London: Heinemann, 1974. France, Peter. Racine’s Rhetoric. Oxford: Clarendon Press, 1965. Lapp, John C. Aspects of Racinian Tragedy. Toronto: University of Toronto Press, 1955. Phillips, Henry. Racine: Language and Theatre. Durham, U.K.: University of Durham, 1994. Pommier, Jean. Aspects de Racine. Paris: Nizet, 1954. Racine, Louis. Memoires sur la vie de Jean Racine. Lausanne & Geneva: M. M. Bousquet, 1747. Tobin, Ronald W. Jean Racine Revisited. New York: Twayne, 1999. Turnell, Martin. Jean Racine: Dramatist. London: Hamilton, 1972. Weinberg, Bernard. The Art of Jean Racine. Chicago: University of Chicago Press, 1963. Yarrow, Philip John. Racine. Oxford: Blackwell, 1977.